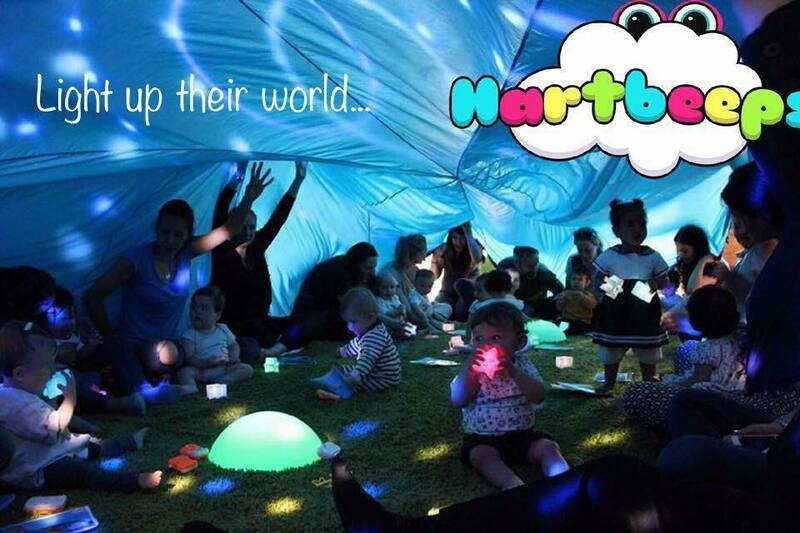 Welcome to Hartbeeps South West London - we can't wait to welcome you and your newborns, babies, toddlers, pre-schoolers or under-8s to our magical, musical, multi-sensory adventures! Click here to book drop in or a term space online! It's the easiest and cheapest way as spaces cannot be guaranteed without a booking and it's more on the door. To find the right class for you check out the classes tab or find a venue nearby first with the venue tab. There are so many classes and clubs for little ones in London but we think (and our members agree) that Hartbeeps is the best! Our sessions strengthen the bond between you and your child. Every week our age-appropriate activities and props help develop their core skills, allowing each individual child to attain their key developmental milestones. Every week we bring our oustanding and Ofsted-loved "Hartbeeps Adventures" (for toddlers and children up to 8yrs) and "Hartbeeps Adventures in Baby Land" (for babies up to 18months) nursery enrichment sessions to some wonderful nurseries in the South West London area! If you'd like us to visit your child's nursery or school for a FREE TRIAL please don't hesitate to put us in touch with your settings management and we'll do the rest! Email anna-belle@hartbeeps.com to set up a visit to your nursery or school. Following the heartbreaking still-birth of Aurelia, the daughter of one of our wonderful mums, we donate to SANDS in her memory. Born sleeping, she will never be forgotten. Many mums (and some dads) who come to Hartbeeps have suffered from or are suffering with post natal illness. We are proud to support the wonderful work of APNI! Feeling low? You're are not alone! If you know you are or you think you might be suffering with post natal depression then there a few places you can reach out to for help - you are not alone! Hartbeeps and other chairties are here for you. Our own Kate Edwards is a mentor and having been through PND twice she's also happy to speak to any of you who need someone to talk to as is Anna-Belle, who also has two children! You can email at anna-belle@hartbeeps.com whenever you need someone to talk to. If you wish to cancel a booking, please note that we require at least 24 hours BEFORE YOUR FIRST CLASS notice to cancel your booking (£1.50 admin fee) or amend bookings (free) - any cancellations made after this time or during the course of the term will NOT be eligible for a refund! We do however offer transfers if you wish to sell your space on to someone else.